Julien Alenda was born in Normandy, France in 1985. He started learning clarinet at 8, but soon moved to alto saxophone and started to play jazz in local clubs. After graduating from the conservatoire in Toulouse in 2008, he spent one year in San Diego, US where he had the great opportunity to study with alto sax master Charles McPherson. In 2009, he played and recorded original songs in Brazil with local musicians. His travel experience continued the following year, aboard a cruise ship where he played in the jazz band, before moving to Bristol in 2012. His playing is influenced by his love for Cannonball Adderley, Kenny Garrett and John Coltrane among others. 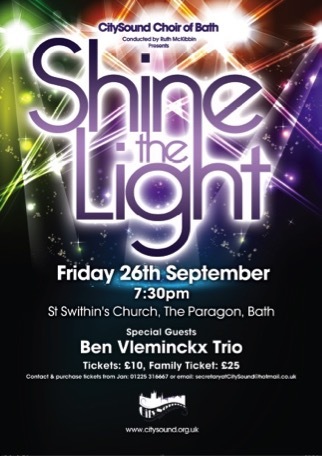 Ben Vleminckx studied at Bath Spa University with tutor Robert Brian. Working with players including Greg Cordez, Adam Biggs and appearing at regular jam sessions across Bristol/Bath jazz scene. Festivals include guest soloist at Brecon Jazz 2012 with Cardiff Uni Big Band and supporting Pee Wee Elis at the Bath Cooler Festival 2010. 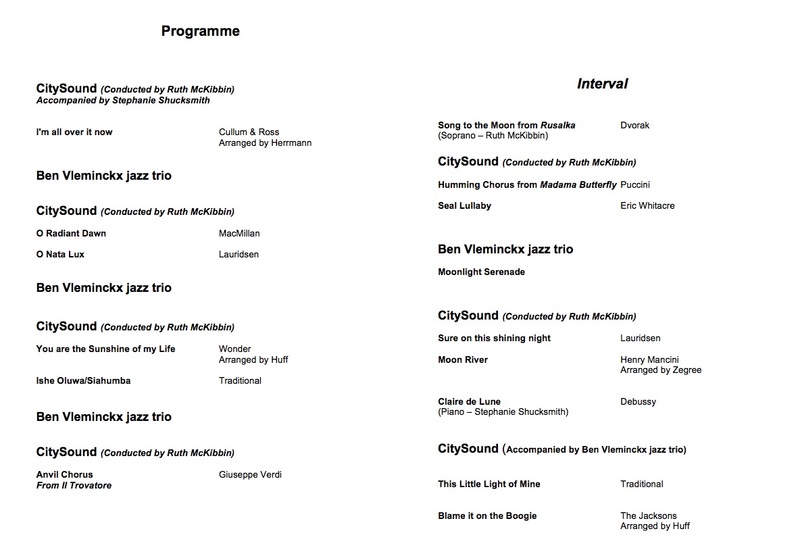 Ben has recently performed with Jason Rebello at the Wiltshire Music Centre as part of their Jazz Facotry programme. Ben endorses Sonor drums, Bosphorus cymbals and Bopworks jazz drum sticks. Pasquale Votino, originally from Bonea, Italy where he studied for his diploma under Rino Zurzolo. Pasquale is now working in Bristol and has played with Andy Sheppard, James Morton, Craig Croften, Ian Matthews as well as workshops with Jerry Bergonzi,Buster Wiliams,Benny Golson. Pasquale’s high energy and exciting playing adds to the smelting pot perfectly in this band. 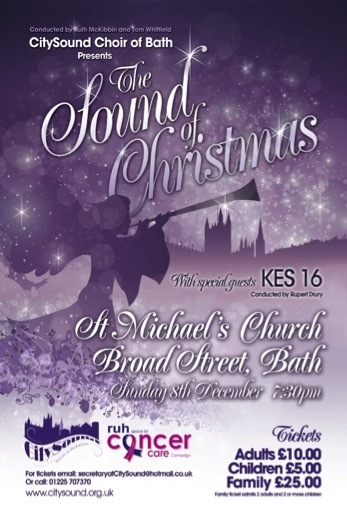 KES 16 is King Edward’s School’s auditioned chamber choir and we are very honoured to have been asked to support this special concert tonight to launch a new choir in Bath, CitySound. 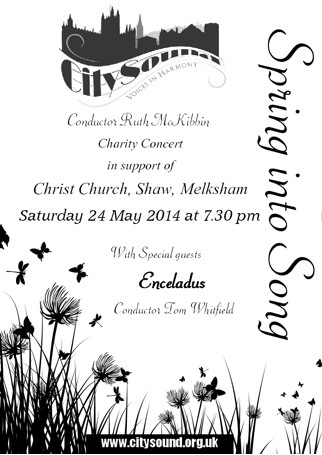 KES 16 was formed by Rupert Drury in 2007 in order to stretch the top vocalists in the school and to train them in the art of choral singing in a wide variety of styles but with a particular focus on challenging contemporary pieces and extended vocal harmonies and techniques. The name KES 16, does allude to the world famous vocal group led by Harry Christopher’s, but the number of singers is very much more to do with creating a good balance between the parts. In our experience there is usually one vocal absence at performances due to illness so we actually run with one in reserve at 17, so if you lucky enough to have all of them tonight, the flu jabs must be working! The group is re-auditioned every September. 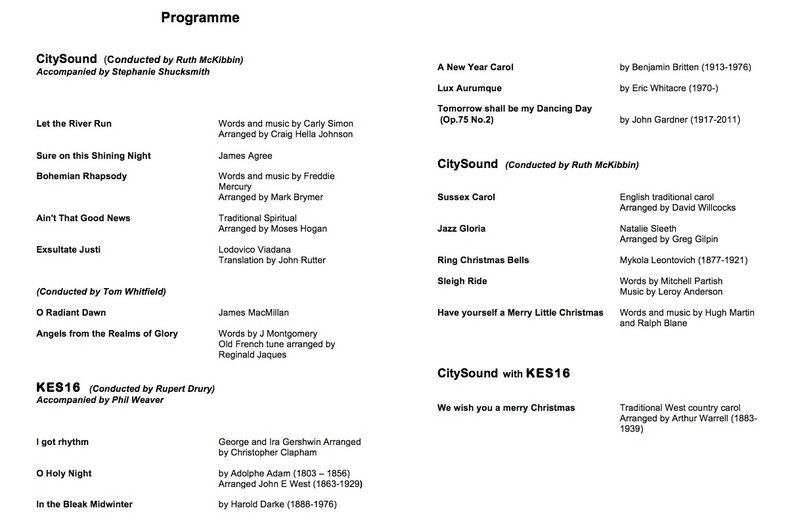 Their yearly programme includes close-harmony Jazz numbers; unaccompanied madrigals; contemporary choral works; including world premières of pieces specially commissioned for the group (KES 16 has a resident composer – Mr Mark Boden), and great choral masterpieces for use in Choral Evensongs and services in Bath Abbey. They regularly bring back trophies from the Mid-Somerset Festival competition in Bath including last year, the much sought after Edward Lilley Memorial Cup for the un-accompanied madrigal class. Last year they also got through to the regional round of the Music for Youth national music festival and competition. King Edward’s has a growing and important link with Bath Abbey and many of the choristers at the Abbey attend the school and sing in KES 16.